Home/AM Software/3D Modeling/AM Industry Surpassed $5.1 Billion According to 2016 Wohlers Report. Is It Enough? 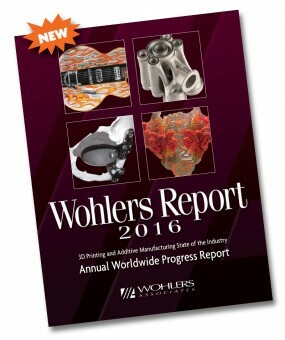 AM Industry Surpassed $5.1 Billion According to 2016 Wohlers Report. Is It Enough? The AM Industry grew by $1+ billion for the second consecutive year, marking +25.9% over the past 12 months. That is strong growth, at a time of global economic uncertainty, but is it enough for such a young industry? The 27th yearly report form Wholers Associates is out and, as it has done for most of the previous editions, tells us of a rapidly growing AM industry. While the growth rate has slowed in the past year, mostly due to a “rebound” after hitting the peak of the hype cycle for many sectors of 3D printing, the industry has been growing at CAGR of 26.2% for almost there decades. While that is an impressive number, is it enough for a young industry set on disrupting the 20 trillion dollar manufacturing industry? Probably not. Growing at more than 30% is virtually impossible for any sector and a growth of +2-3% is to be considered optimal for any consolidated sector. The 3D printing industry has been around – with different names – for 30 years so it should either grow faster or start consolidating and it does not seem to be doing either. Since establishing the 3Dprintingbusiness.directory we have also established a more direct link with several companies throughout the world and we have discovered several shortcomings, which are even more apparent for companies that are operating in what is considered the “fringe” of manufacturing technology. Many companies operating in this space do not understand some basics of business development, even as they are overwhelmed simply trying to keep up with demand and just making ends meet. Most companies are struggling because they do not have the manpower to meet demand and at the same time do not have the financial resources to hire more employees. These issue could be addressed through a more efficient communication and collaboration between companies, which is exactly the reason why we have worked to build this 3D Printing Business Directory. 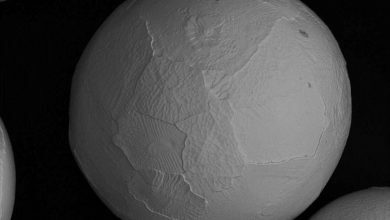 These issues are made more difficult to address in 3D printing as this is – possibly – the first product based industry ever that is born as a global industry. Communicating across national borders is harder and yet it is absolutely necessary. Many companies also fail to understand the benefits – and more importantly the costs – of marketing. Since 3D printing is such an innovative technology most of us believe that people will find out about it, eventually, by themselves. That is simply not true: you may have the best idea ever but, if no one knows about it, it might as well be nothing. Companies need to understand that a successful business plan – even in 3D printing – should include marketing as the first voice in the expenses column, tied or even ahead of R&D. Finally many of the largest companies in 3D printing still operate with pre-digital era industrial dynamics. That’s because the manufacturing industry dates back to the 1800’s. However 3D printing is the first segment of manufacturing to fully ever the digital era and as such it needs to join the technological superhighway. Not just in the processes (which it already does with CAM, CAE and CAD software) but also – and especially – in communication, management and logistics. Paradoxically the only 3D printing companies to do this successfully are the ones that are newer and thus have a harder time embracing the 3D printing process itself. 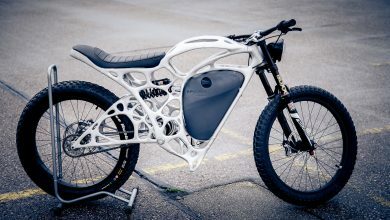 That is one more reason why all companies in 3D printing – young and new – have to find each other out and connect, share best practices, understand each other’s business models. This is a daunting task and yet it has to begin somewhere. We created the 3D Printing Business Directory to be that starting point. Otherwise, $1 bln a year after $1 bln a year, it will take 100 years (considering the relative growth) to get to that goal of 2% of all manufacturing which Wohlers Associates itself has set as the ideal size for 3D printing. 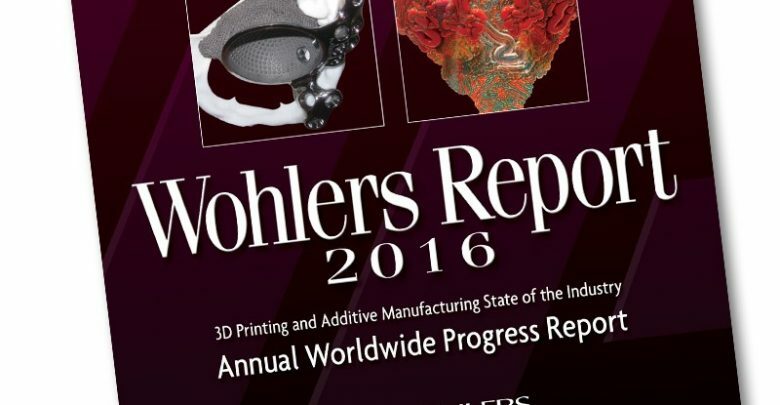 Wohlers Associates, of the foremost authorities on additive manufacturing and consumer 3D printing technologies and applications worldwide, published its latest Wohlers Report 2016, which marks the 21st consecutive year of its availability. 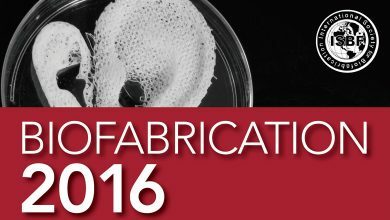 According to the Wohlers Report 2016, the additive manufacturing (AM) industry, consisting of all AM products and services worldwide, grew 25.9% (CAGR) to $5.165 billion in 2015. The CAGR for the previous three years was 33.8%. Over the past 27 years, the CAGR for the industry is an impressive 26.2%. The annual state-of-the-industry report is highly anticipated by industry insiders and knowledgeable observers because its analysis is based on more than 20 years of data from companies in the AM industry. For Wohlers Report 2016, input was collected from 51 industrial system manufacturers, 98 service providers, 15 third-party material producers, and several manufacturers of low-cost desktop 3D printers. The effort also included contributions from 80 experts in 33 countries. Wohlers Associates reports that, despite challenges, growth continued in many segments of the diverse industry, particularly in metal AM and, contrary to widespread perception – the desktop 3D printer segments. In 2015, 62 manufacturers sold industrial-grade AM systems (valued at more than $5,000), compared to 49 in 2014, and twice as many as the 31 companies that sold industrial systems in 2011. All of these companies, and many others, are profiled in Wohlers Report 2016 and, of course, they are all present in the Global 3D Printing Business Directory. The principal authors of the report are Tim Caffrey, senior consultant, Ian Campbell, associate consultant, and Terry Wohlers, principal consultant and president—all of Wohlers Associates. The company developed the largest network of contacts in the industry. 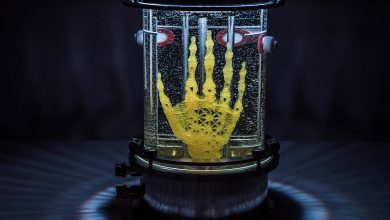 This access and trust has resulted in a report that offers an unparalleled window into AM and 3D printing. The 335-page Wohlers Report 2016 includes 35 charts and graphs, 68 tables, and 322 photographs and illustrations. It also includes more than 160 pages of supplemental online information that is available to the buyers of the report. 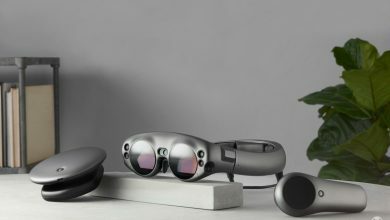 All that is needed to gain insights into one of the most complex and fastest evolving industries humanity has ever seen, right at your fingertips.